New Delhi: Indian soldiers formed a human chain to block Chinese troops who had transgressed 2km into Sikkim early this month in the latest eyeball-to-eyeball faceoff between the two armies since their Doklam standoff last year, according to reports security agencies sent recently to the Centre. The alleged incursion by People's Liberation Army troopers took place in Naku in Sikkim's West District. 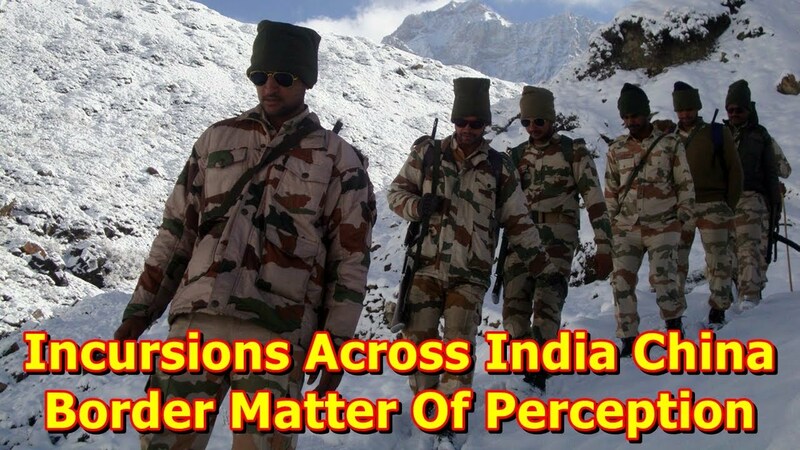 "Around 50 PLA troops had transgressed into Indian territory near Naku leading to a faceoff. The Chinese troops were adamant and remained there for four hours and refused to budge. There was no firing and the Indian side held up banners advising them to vacate the space," an Intelligence Bureau official told The Telegraph, quoting from the report. The faceoff could have snowballed into a major flare-up but the Indian side outnumbered their rivals, the official said. "After the four-hour-long persuasion failed, nearly 100 Indian soldiers formed a human chain to block the movement of the Chinese troops. A heated argument took place and the situation was later brought under control after a banner drill and the PLA troops finally marched back to their territory," the official said. Transgressions and frequent skirmishes are not new on the 3,488km India-China disputed border along Arunachal Pradesh, Sikkim, Uttarakhand, Himachal Pradesh and Jammu and Kashmir. What has baffled security agencies is that the theatre of the recent faceoff was in the same sector where troops of both countries were locked in a tense 10-week standoff last year at Doklam, a plateau that sits at the tri-junction of their border with Bhutan. The exact date of the latest intrusion is not clear. But sources said it took place days after a high-level Chinese military delegation, led by the deputy chief of its Western Theatre Command, Lt Gen. Liu Xiaowu, visited the 33 Corps headquarters at Sukna in north Bengal and the eastern army headquarters in Calcutta early this month. The visit, to carry forward confidence-building measures between the two armies, was the first such by a PLA delegation since the Doklam confrontation. The latest faceoff has assumed significance amid media reports on Thursday that quoted a US official as saying that "China has quietly resumed its activities in the Doklam area and neither Bhutan nor India has sought to dissuade it". Later in the evening, the ministry of external affairs (MEA) issued a statement saying the reports were "incorrect". "I would reiterate that since the disengagement of Indian and Chinese border personnel in the Doklam area on August 28, 2017, there have been no new developments at the faceoff site and its vicinity. Status quo prevails in this area," an MEA spokesperson said. Government sources said the Indian Army was stepping up its strategic infrastructure development programme along the China border and pushing for better roads near the disputed areas, in what is being seen as an attempt to pre-empt another Doklam-like standoff and future intrusions apart from ensuring better deployment of forces and "enhancing capability". Earlier, in January, India's foreign ministry and army chief Bipin Rawat had contradicted each other on the prevailing situation at Doklam. While the ministry had maintained that there had been no change in the status quo at the faceoff site in Doklam, Gen. Rawat said the Chinese military had carried out some infrastructure development in the area. Later, in March, defence minister Nirmala Sitharaman had informed Parliament that China was building infrastructure, including helipads, sentry posts and trenches, in Doklam. Chinese defence minister Wei Fenghe has accepted an invitation to visit India and plans to do so by this year-end, Reuters quoted China as saying on Thursday. Indian soldiers formed a human chain to block Chinese troops who had transgressed 2km into Sikkim early this month in the latest eyeball-to-eyeball faceoff between the two armies since their Doklam standoff last year, according to reports security agencies sent recently to the Centre.